Nominated for: his world class speed, and world class bromance. Sprinter Andre De Grasse impressively brought home three medals from the summer Olympics in Rio de Janeiro, but more importantly, the 22-year-old Markham athlete also let us experience a few moments of actual happiness this year. Summer 2016 was an innocent time. Leonard Cohen and Carrie Fisher were still alive and well. Most of us expected Hillary Clinton to be elected U.S. president in the fall. And for just a little while, it felt like the entire internet was united through the pure, unbridled joy borne from a look exchanged between De Grasse and fellow sprinter Usain Bolt. The bromance between De Grasse and Bolt at the 200-metre semi-final finish line spawned a multitude of memes. And now that we’re a few months removed from that moment, our online chatter mostly revolves around how badly this year has broken us all down. The phrase “dumpster fire” gets thrown around a lot. But in those blissful August days, we were all preoccupied with one of the most beautiful Olympic friendships we’ve ever seen between athletes at the top of their sport, enjoyed without a touch of cynicism. De Grasse’s athletic accomplishments make him more than worthy of 2016 hero status. 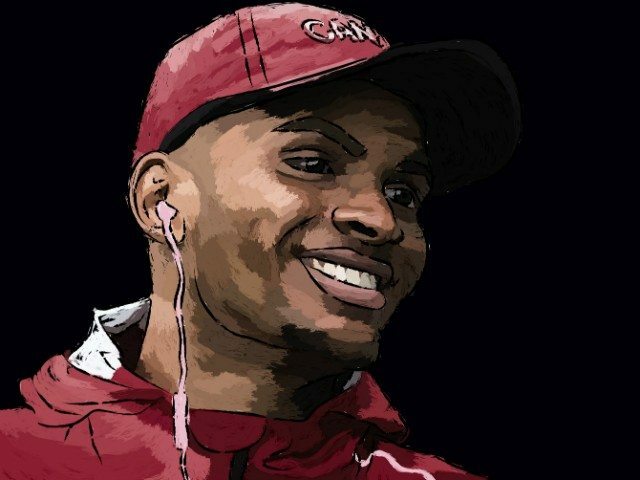 By bringing home one silver and two bronze medals, he became the first Canadian sprinter to win three medals in a single Olympics. This isn’t even his first time landing on Torontoist’s Heroes list—his success at the Pan Am Games and World Championships in 2015 set some high expectations for his Olympic performance, and he surpassed them with ease. De Grasse may not have been able to run faster than the record-setting Bolt—the fastest man in the world—but he became an international Olympic star nonetheless. Since his Olympic performance, he finished his university degree as part of a promise to his mom, and he was named the Canadian Press Athlete of the Year. We’re looking forward to even more big things from the star sprinter. But for now, let’s all hold on to hope that in 2017, we’ll find someone to look at us like Bolt looks at De Grasse.